Custom fields are used to collect and store further information about a guest. This quick guide will show you how to easily add a new custom field in myfrontdesk. Max. Characters: Maximum number of characters allowed to be entered in this field. 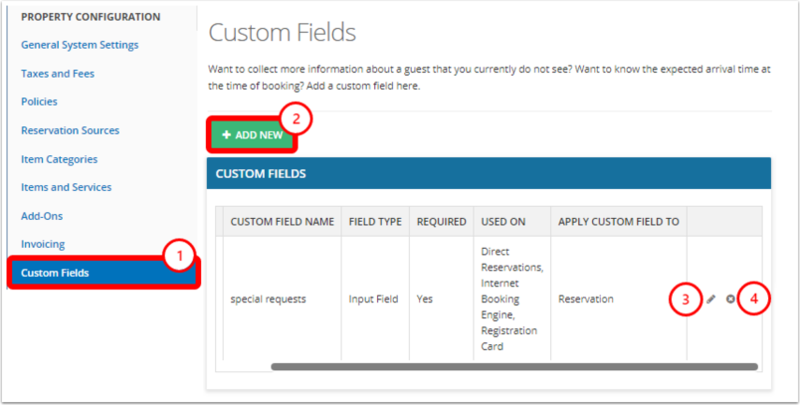 Apply custom field to: Select whether to put this field in the reservation or customer section of the booking. Is this field required? Specify whether this field is required to be filled out before a guest can make a reservation. Does this field contain any Personally Identifiable Information? : For privacy and GDPR compliance, a customer can request to see their personally identifiable information (PII) at any time. The guest can also ask for their PII to be anonymized or deleted. Checking "yes" on this custom field confirms this field will be asking the guest for information that could personally identify them. How do I blacklist a guest?